Thanks, made it the simplest install ever, only 5 wires to connect. Extremely fast shipping!! Thank you!! I got this to be able to keep my steering wheel controls in my 2012 F-150 and it gave me much more. Once installed (you must buy the wiring harness, I got the FO1 harness) I retained my steering wheel controls and much to my surprise I was able to keep all of the SYNC functions. Took a little to figure that our but was able to. I actually use SYNC for my phone calls. Everything was controlled through my Pioneer AVH-4100nex. As mentioned above you have to get the wiring harness, makes the installation seamless especially if you take you time and match all the wires. At first I thought I was nuts for doing the install myself (I do have a little tech experience) but once I started it was easy and worth it. I am very happy with it but the price for this (not form the seller, but the actual unit itself) is a bit high when you figure in that you have to also get the wiring harness. I will say after being able to also still have SYNC, it made the price worth it, if it was just to keep steering wheel controls I would think twice about spending this much. Some cables have the same colors but the stripe and main color are inverted making it a little confusing as the diagram only shows the color combination. Some colors on the cables are too similar to others and can be mistaken. Software on the website gave me incorrect button layout so I had to do each button individually and do it myself. I love how you can keep your steering wheel controls, on-star, vehicle accessories, etc. I guess I just wish there would be an easier way to do software updates without ripping open my dash to pull it back out. I supposed I could permanently install a USB cable and run it somewhere an use a laptop. Also it would be nice if they had other O/S's support since I primarily run Linux. So I need to use my wife's computer to configure. Adds features my Tacoma didn't have before. The main reason to use the Maestro is to retain steering wheel controls. But this product also interfaces with the vehicle's OBD2 diagnostic port. In my 2014 Tacoma, the Maestro adds 2 pages of gauges pulled from OBD2 data and ability to view current tire pressures right on my Pioneer AVH-4200. There are cheaper ways to retain steering wheel controls but in my opinion, the Maestro is the right choice. 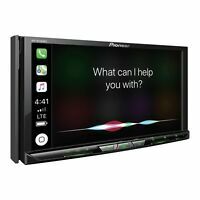 I upgraded my 2014 Mazda 6 Touring with bluetooth head unit to a nice Pioneer NEX unit that is specifically compatible with the Maestro RR. The Maestro offers some additional functionality over other, less expensive SWC adapters such as dual function programmability for your buttons as well access to your vehicle's OBD2 information. The "gauges" screens are what you're paying extra for. 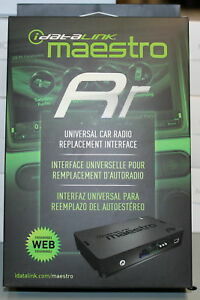 The Maestro RR is a universal unit and each car offers different information, so iDatalink won't tell you exactly what you can access. Regardless, if you are a bit of a gearhead and have slight engineering-nerd tendencies, then you will certainly appreciate the multitude of readouts available. Do you "need" these gauges? Probably not, and if all you want is to retain your SWC, then there other, more affordable adapters. However, for a small premium, it is really cool being able to access in detail what your car is doing and that which your vehicle manufacturer thought wasn't worth being displayed.